When approaching a whole-house interior paint scheme, Bynum Residential Design likes to kick our Nashville homes up a notch by tweaking tradition and putting more than a little thought into not only our paint color choices but also the type of paint we use, how we use it, and where we slap it. Here are five ways we use paint to create extraordinary spaces. 1. Paint your walls and trim the same color. Consider painting your trim the exact same color as your walls. I’ve recently done this very successfully in two of our spec houses, and it does wonders to make a room feel bigger and blur the lines between spaces. 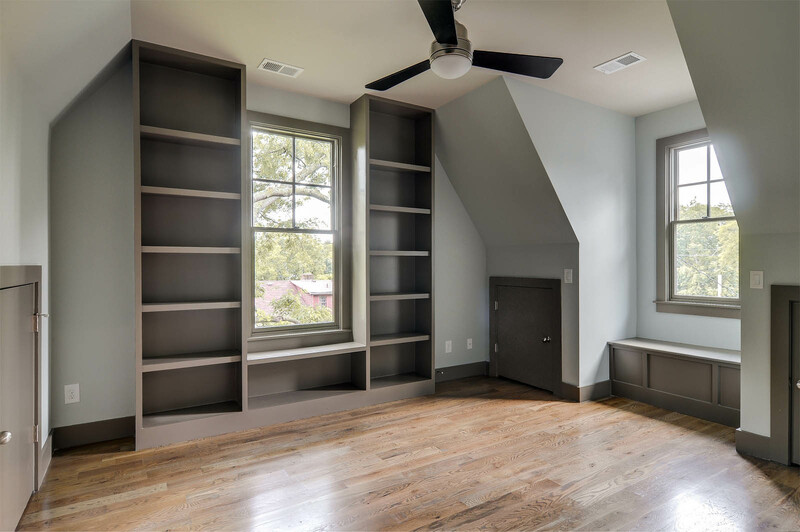 In the houses that we deal in, where square footage is from 1,800 to 2,500 square feet, it just reads larger if the trim and the walls are all the same. You still do need to make the distinction between oil-based and water-based paints–painting your trim with oil paint and your walls with water-based paint. That makes the light reflect off of the surfaces differently so your trim pops a little more even though it’s the same color. I think this look is more modern even when the space is very traditional. 2. Or paint your trim darker than your walls. 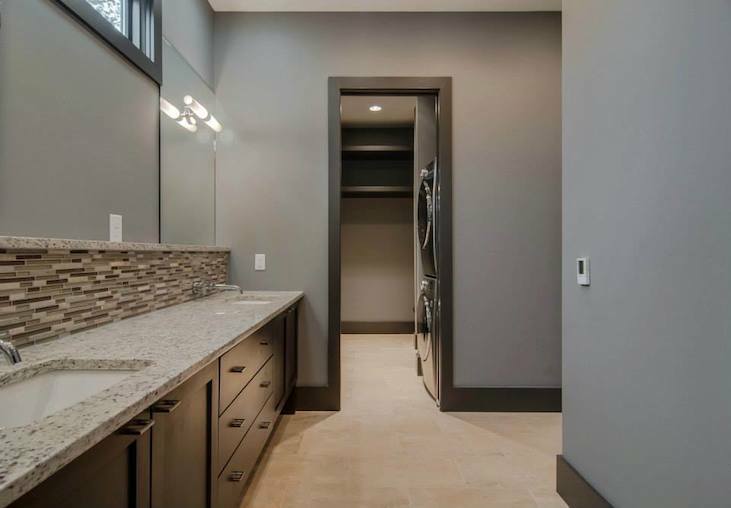 I sometimes will choose to use a dark trim and a light wall color; in fact that’s what we did in our renovation at 903 Lawrence Avenue. Whether or not you want to do this will just depend on the vibe that you’re trying to create, but my take on it is that it’s a bolder way to play with neutrals. 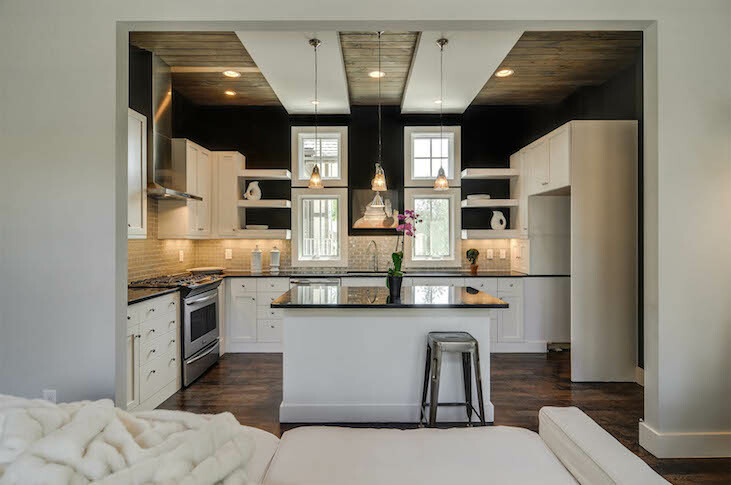 It also nods to colonial times, when it was very common to have darker, boldly colored trim contrasting with lighter walls. And for practical reasons it just makes sense; your dirty baseboards aren’t going to bother you nearly as much if they’re painted dark gray. 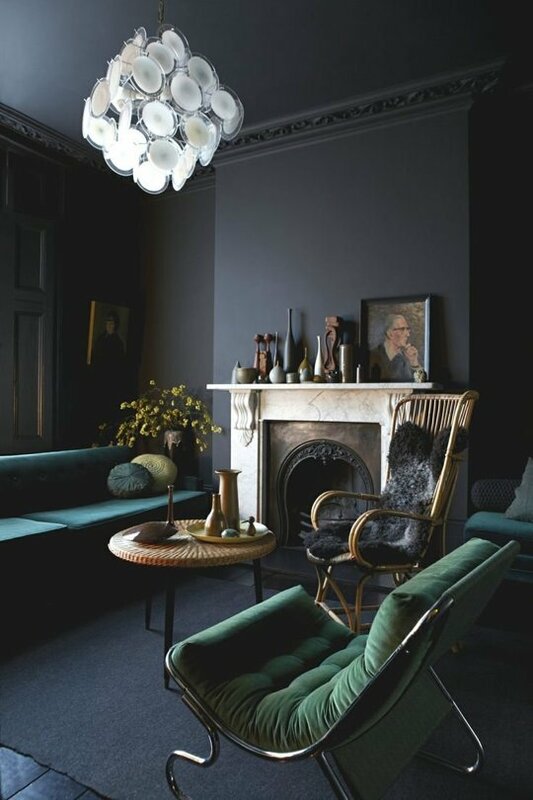 More often than not I’m going to go with a trim color that contrasts with the wall color; I talk more about my love of contrast in our 6 Best Dark Paint Colors post. 3. Paint a feature wall with oil-based paint. I follow common thought by always using oil-based paint on trim, but I like to utilize oil paint in other ways, too. For instance, if we do a wall that has a lot of paneling on it then I would paint the trim and the drywall with oil-based paint so it looks like a wood feature wall. Stairwells and chimneys (see below for example) are also great places to take advantage of oil paint’s sheen, if these are areas that you want to read more importantly. And of course if you have the luxury of real wood walls, then by all means paint them with oil-based paint. 4. Paint your ceiling the same color as your walls. I love this technique in most any white room, but it also works great in a master bedroom or nursery. By using a dark color, you are better able to control light and mood and sleep. Being surrounded in the same dark hue feels like being wrapped up in a blanket. 5. Paint your trim the same color throughout your house but vary wall or casement colors. This final point may be a bit obvious, but we have seen people use different color trims in their home and it is almost always a blunder. Typically you want your trim and your doors to match throughout the home, whether the doors are wood or painted. This is important for unifying a house from room to room. 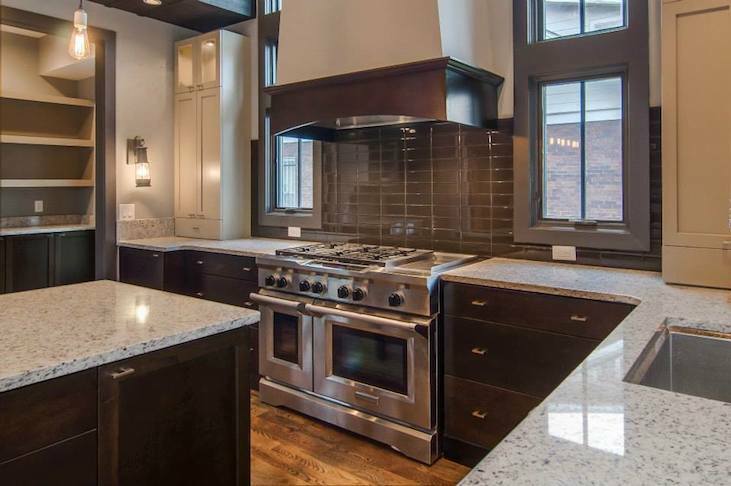 That doesn’t mean that your cabinets have to be the same color as your trim; there’s lots of room to play there. And of course you can have fun with wall color, too. We just did a house—one of the houses with the walls and trim the same color in most rooms—where in certain rooms there would be a different wall color even though the trim color continued. It was a really interesting effect. Want more paint color advice? Here are 5 Great Gray Paint Colors. 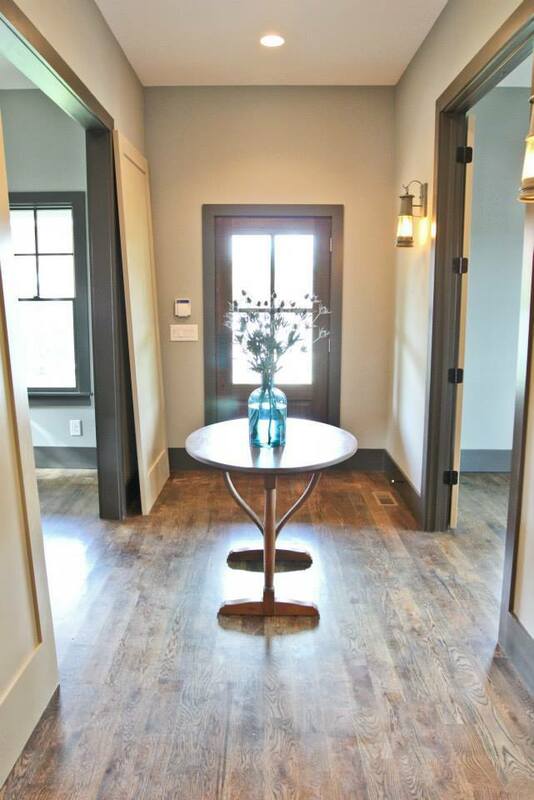 This entry was posted in Tips and Tricks and tagged interior painting tips on June 27, 2014 by Ellen Barnes. 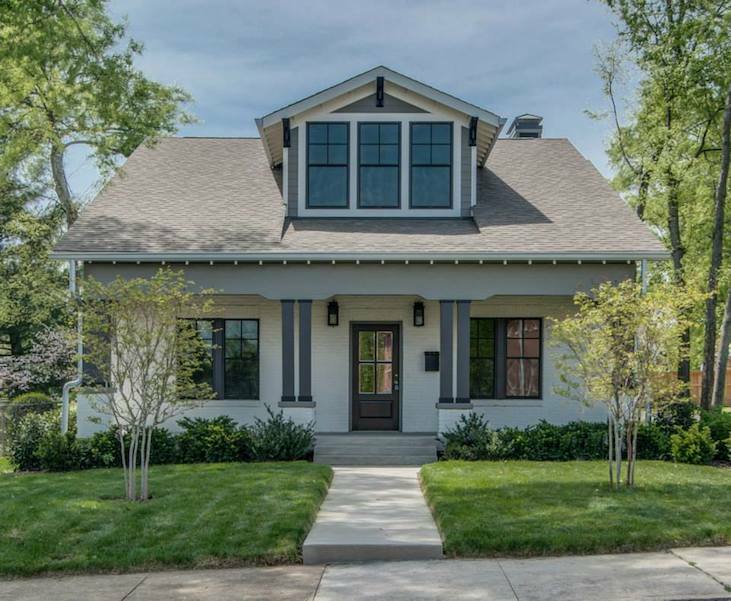 The Story of a Home: 903 Lawrence Ave.
A roof-raising and room reconfiguration–coupled with the addition of a courtyard with a saltwater reflecting pool–revived this 1935 bungalow in 12South. See how Bynum Design made it happen. 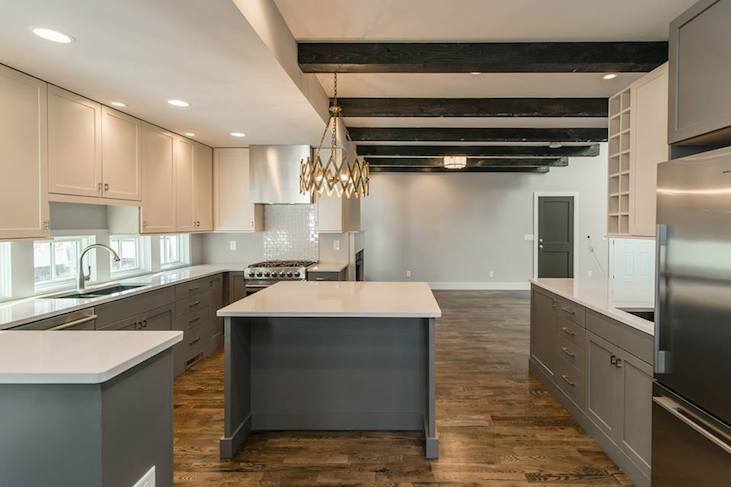 The Process: More often than not we do new construction homes (which we’ve profiled in detail on the blog here and here), but we get a huge kick out of tackling remodels, too. This 3,623-square-foot home that we finished up and sold last month is great example of a thoughtful response to a classic bungalow, but we still managed to pack it full of Bynum Design hallmarks–custom details that make it feel one-of-kind, inspiring, roomy and cozy all at once. 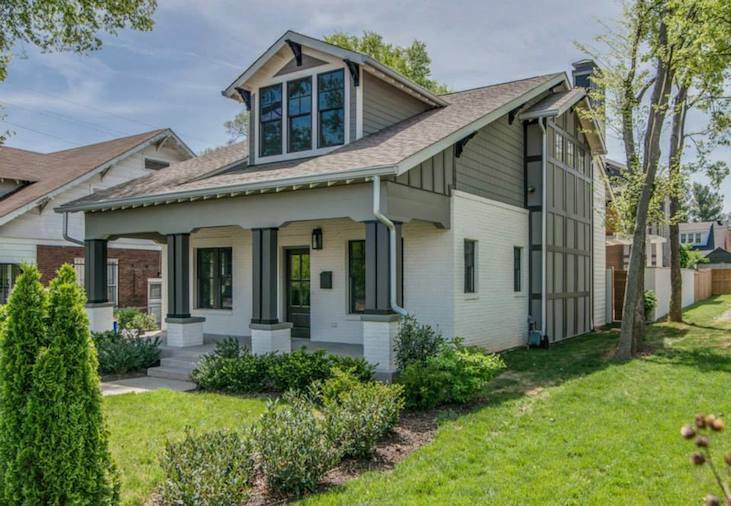 Though we made some pretty massive alterations to the structure, the front exterior retained every bit of its original charm, so that the rhythm of this sweet street goes uninterrupted. Are you in for a surprise? Check out the photos of this home when we acquired it. The courtyard and pool. We created a courtyard on the sunny side of the backyard—on the west side of the property—and built a wall around it to close it in. On the east side we did a master suite. 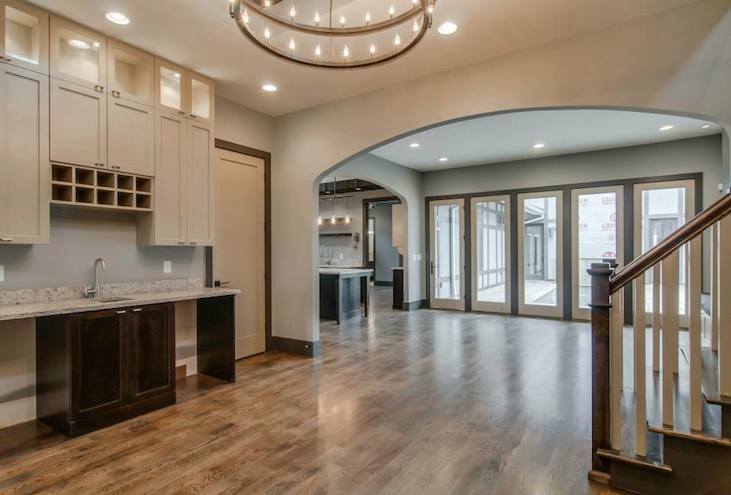 And in the back, to enclose the courtyard, we added a two-car garage with a bonus room upstairs; the bonus room opens up to a balcony overlooking the pool. 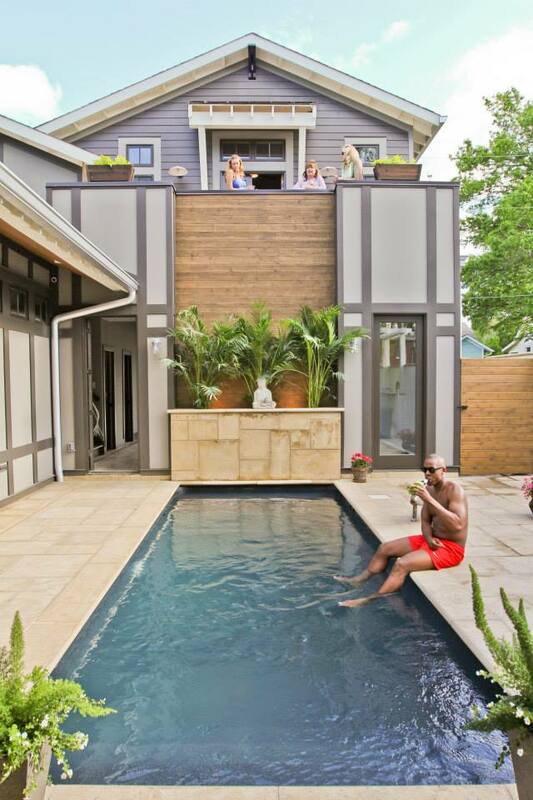 This is the first pool Bynum Design has had the opportunity to install. Our options were pretty limited by the courtyard’s small size, but we decided on a rectangular saltwater pool that we wanted to read as a reflecting pool so that it wasn’t about swimming as much as it was about atmosphere and vibe. Enclosing the courtyard with a garage/bonus room had the added benefit of giving the backyard the feeling of a cozy compound. The master suite. 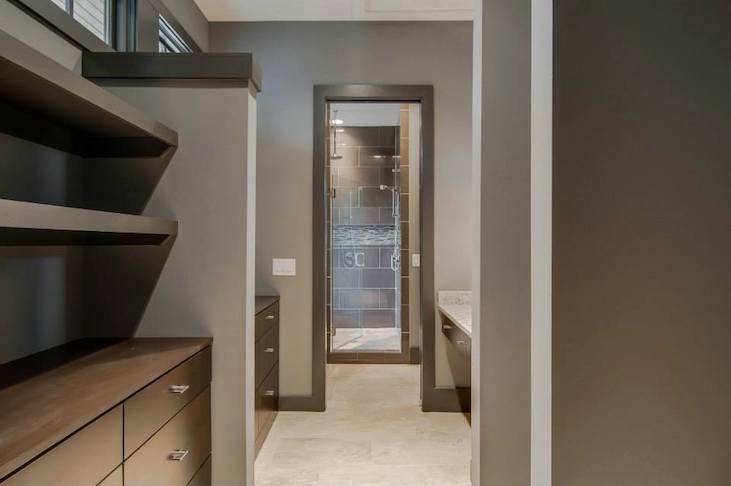 This master suite has an especially fabulous layout–the way the spaces come together and function, and the his and hers closets. 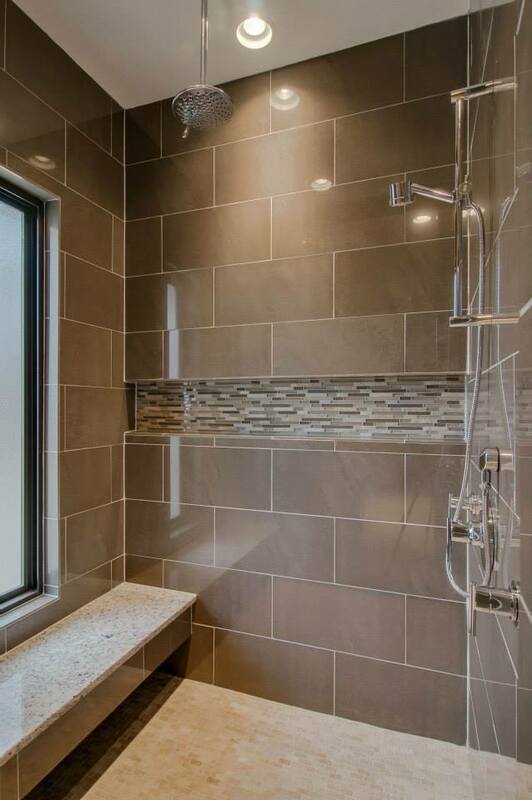 We also love the big shower filled with natural light, thanks to the frosted window we installed. The center of the house. 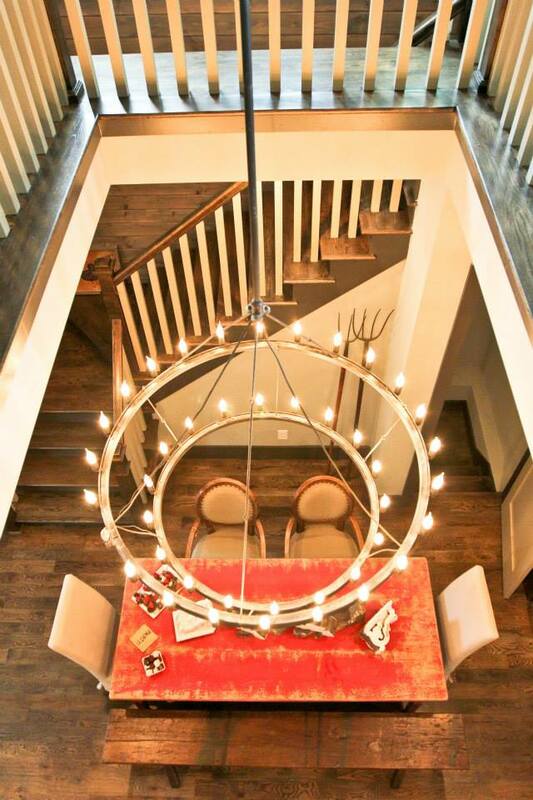 A super sweet spot in this home is the dining room, located at the base of the stairs and just opposite the bar. 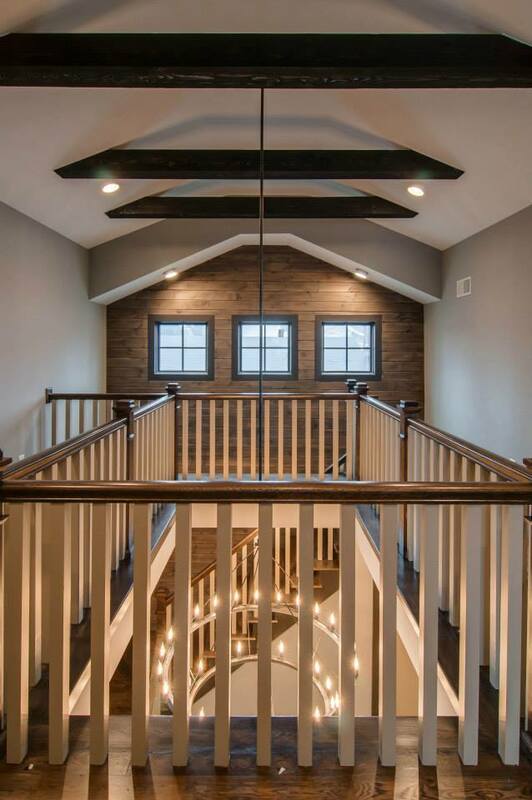 When you look up from the dining table, you see the stairs wrapping on around and a cutout in the ceiling, so that people upstairs can look right in on whatever social activity is happening downstairs. This space ended up defining the whole vibe of this house. We’ve decided that if this house had a personality, it would be extroverted. The lighting. 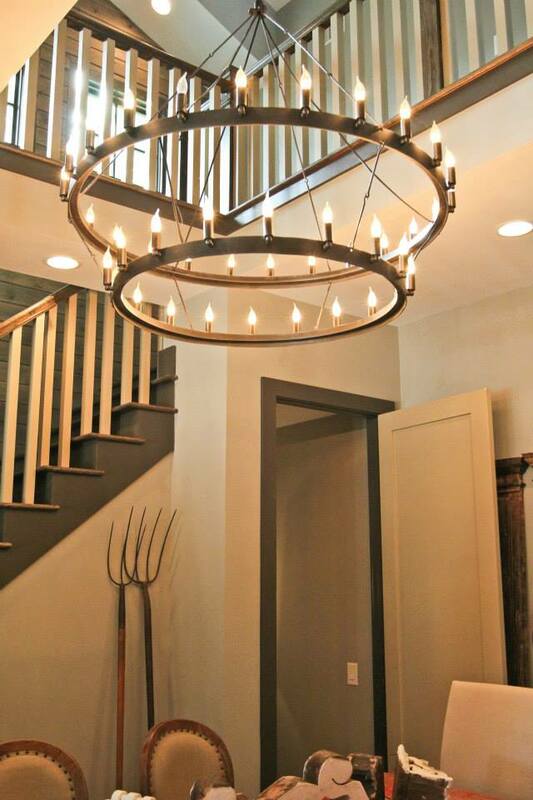 If you know anything about us, you probably know that we’ll always say the lighting package in our homes stand out. We just can’t stress enough the importance of the right fixtures. We did a custom light fixture over the island, done by a local guy, David Phillips, who creates a lot of repurposed fixtures for our Marathon Village neighbors Antique Archaeology. 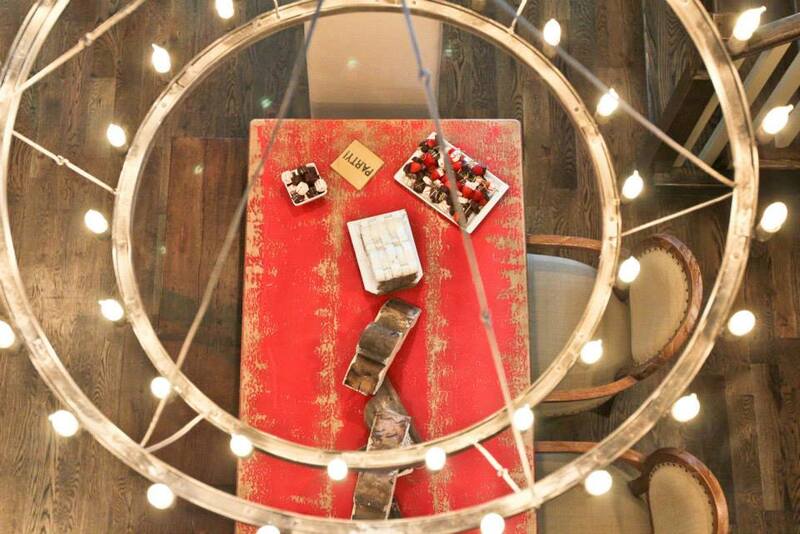 David really helped us make the lighting package special, particularly in that vaulted space. Raising the roof. 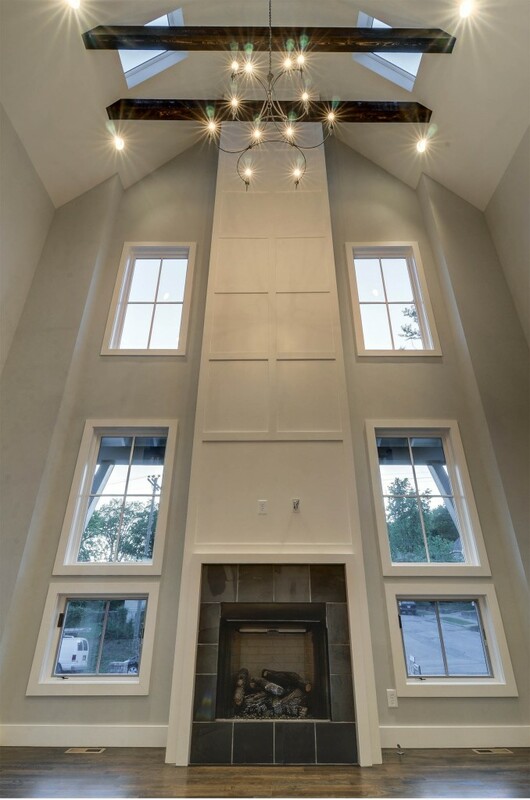 To get the ceiling height and to reconfigure the layout the way we wanted, we had to raise the ceilings, reconfigure the roof, and add on. To do this, we took the dormers and the roof off, took the second floor off, and raised the ceilings so that they were 10 feet high. In the meantime, we kept the brick that was on the front of the home and on the two sides, later choosing to paint it. When rebuilding the roof, we returned its original roof pitch and built back the little dormer that was on the front of it. Neighbor. This property is directly across the street from a church, which is kind of a hoot. We debated whether or not the proximity to a busy church was a good or bad thing, but we ultimately decided it was a good thing because if you have a party you have a big, built-in parking lot for friends to park, unless it’s on a Wednesday night, when they host their bible study, in which case they will ask you to move your car. The other great thing about it is when church is in session it’s very entertaining because there are lots of big hats, especially on Easter Sunday. So you can sit out on your front porch on Sunday mornings and have bloody marys and be entertained. Vaulting the ceiling. 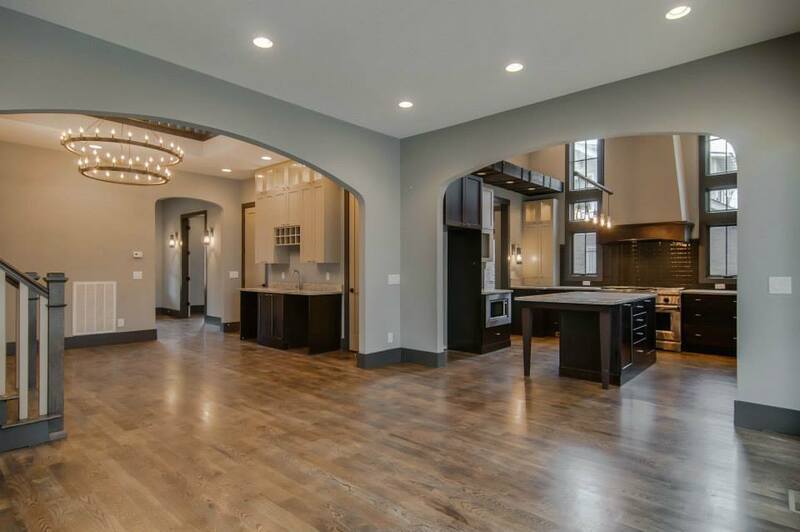 One of the things that’s a Bynum Design hallmark is to do two-story spaces with huge windows, which in turn creates the vaulted ceilings that we’re also known for. 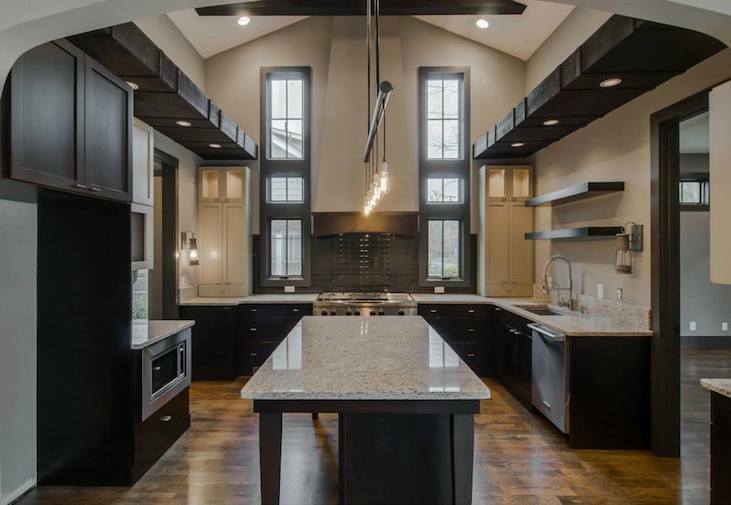 We were able to accomplish that at the rear of this house, which is only a single story, by following the roofline, making a center line down the kitchen, and mirroring the roof on the other side so we created a tall, vaulted space there without actually making a two-story space. Funnily enough, this home was sold via a FaceTime session with someone who was out of state at the time. The new owner’s realtor came through on the morning that D. Luxe Home was finalizing the staging prior to the party we hosted to celebrate the completion of this home. While we haven’t spoken with or met the owner, we have always envisioned this being a social space, filled with friends and conversation. 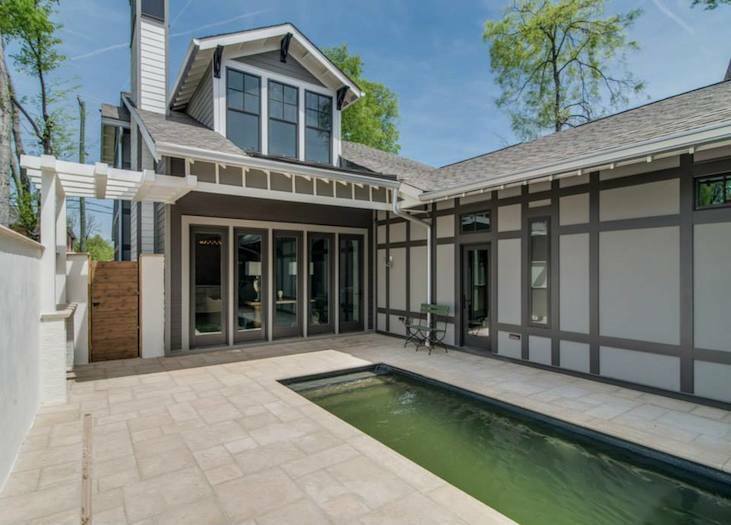 In Nashville’s temperate months, we see the master suite’s doors flung open to the courtyard. There will be lots of bare feet and the sounds of splashing water and laughter. This is our hope. P.S. Check out our post on the D. Luxe Home blog about staging this house and throwing a big party to celebrate its completion. 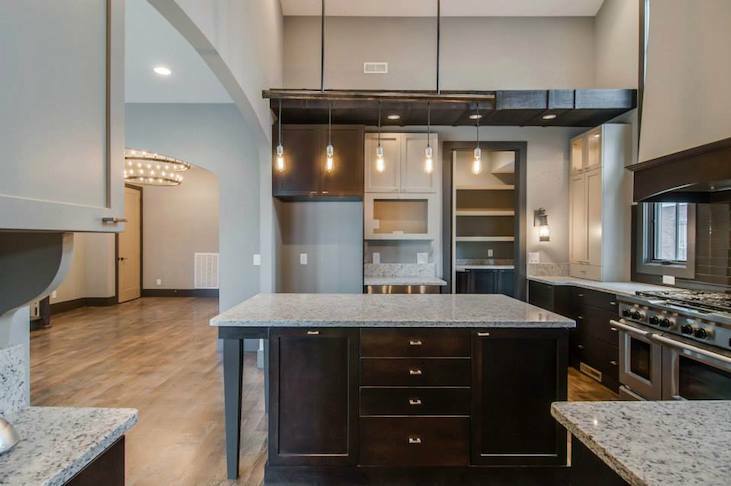 You’ll also find several before photos of this home here. 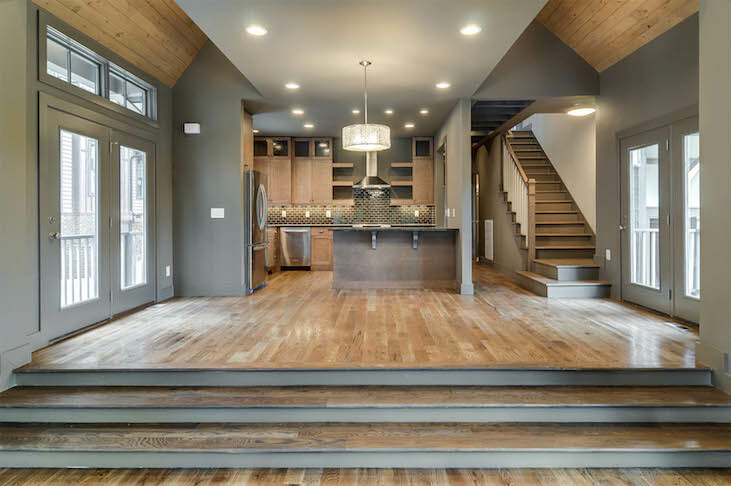 This entry was posted in Story of a Home and tagged 903 Lawrence avenue, bungalow flip, bungalow remodel, bynum design, bynum residential design, dee bynum, story of a home on June 15, 2014 by Ellen Barnes.